If you are heading into battle, you had best have a helmet. Why? Because your head is your most important part! Disable that, and you win the battle! 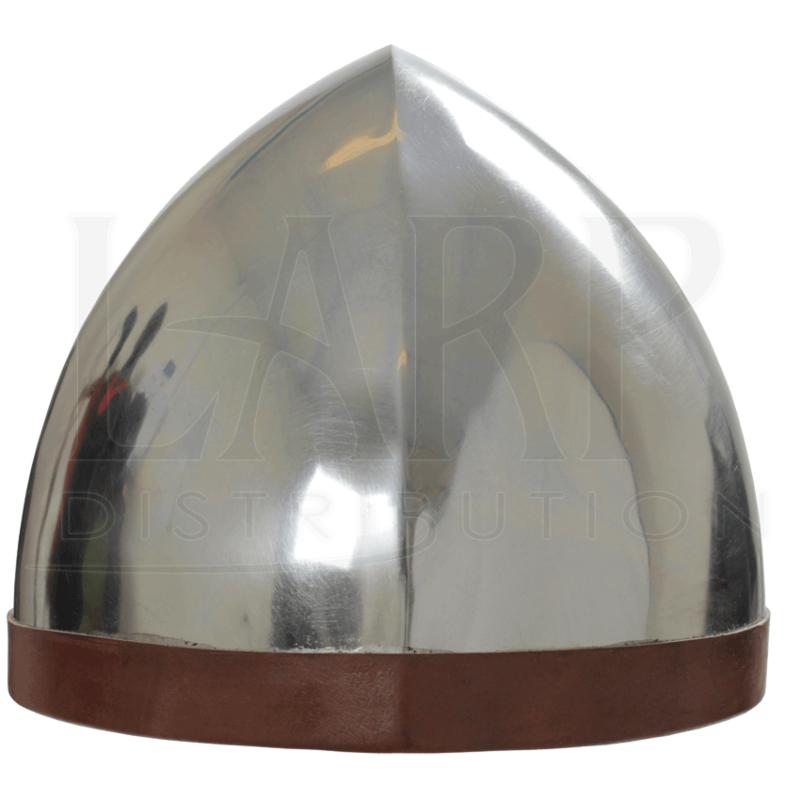 And even if you are short on cash, you can still get a good helmet in this Ready for Battle Helmet - Steel. The design of this helmet is based on the traditional medieval skull cap. It is crafted entirely from a single piece of steel. A leather band wraps around the rim of the helm, while the interior is lined with a padding to improve the fit and ensure comfort. It also features nylon straps for securing the helmet about your chin. It lacks a liner, though, so a padded arming cap may be desired. It is straight-forward and solid protection offered a low, low price, and more importantly, it is a helmet that will look great with a wide assortment of different looks.